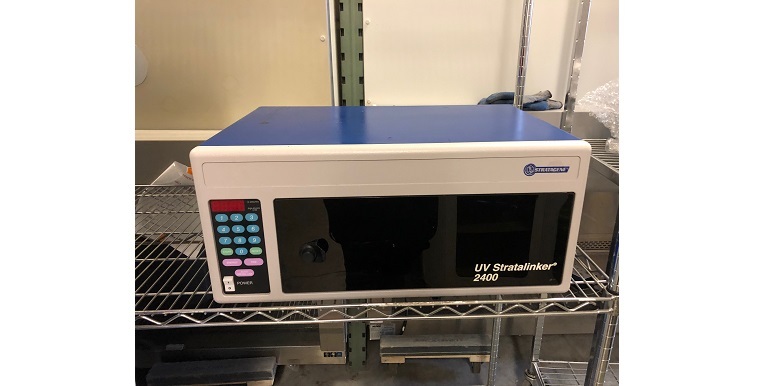 The Stratalinker UV crosslinker is designed to crosslink DNA or RNA to nylon, nitrocellulose, or nylon-reinforced nitrocellulose membranes. The crosslinking process takes only 25–50 seconds, in contrast to the traditional method of baking filters at 80°C for 2 hours. Additionally, crosslinking has been shown to significantly increase hybridization signals when compared to oven-baking. For optimal cross linking performance, each Stratalinker UV crosslinker is equipped with an internal photodetector designed to compensate for the natural shift in power output of aging ultraviolet bulbs.